The 2018 Jeep Grand Cherokee is an amazing choice of vehicle if you’re looking for excitement, adventure, comfort and accommodations. It’s one of those vehicles that truly has all that you could ever wish for in an SUV. 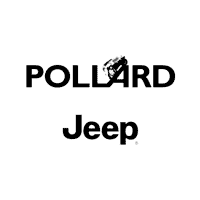 Pollard Jeep serving Longmont Colorado has a vast assortment of Jeep options for you. The line of trim levels is extensive. The manufacturer made it that way so that you would be able to pick out a Jeep that fits your personality to the letter. The following is some information about the trim levels so that you will be more informed about this model before you go to the dealership serving Longmont Colorado for a test-drive. The first model on the table is the base option, which doesn’t really seem to base at all. The base model of the 2018 Jeep Grand Cherokee near Longmont is called the Laredo model. The Laredo is a powerful option that has a strong body, attractive colors, and so many accommodations that you can’t even list them all in one place. The body has a sporty appeal to it, and it sits on top of 17-inch wheels. The grille is friendly and inviting but it still demands respect. Overall, it has just the right amount of personality as to where it can appeal to any type of driver regardless of age or personality. Color options that you have for the interior include Velvet Red Pearl, Walnut Brown, Bright White Clear Coat and so forth. You’ll be utterly pleased with the performance that the Laredo can give you. It comes with a 3.6L Pentastar® V6 Engine with Eight-Speed Automatic Transmission. That’ll give you enough zip to do what you need to do and get it done quickly. If you’re looking for entertainment, you’ll find plenty of it in this machine. You’ll have features like Android Auto, Apple CarPlay, SiriusXM, Uconnect and the like. Safety features are always prevalent no matter which model you buy. Some of the safety features that will be available to you are features such as the Blind Spot Monitoring, Lane Departure Warning With Lane Keep Assist, Forward Collision Warning, SOS Buttons and so on. Lane Departure Warning and Lane Keep Assist is an amazing set of features because they can prevent an accident by keeping you in your lane. The Lane Keep Assist helps you get back to where you came from if you so happen to slip out. You can trust that you will have a completely safe ride if you get behind the wheel of this vehicle today. The Altitude model will take you to new heights that you never thought you could reach. This model will give you a 3.6-Liter V6 24-Valve VVT engine and an eight-speed automatic transmission that you’ll be able to enjoy quite a bit. You’ll have 3,600 pounds of towing capacity as well as a power liftgate and a heated steering wheel. This model seems like it focuses on strength and accommodations, but it’s still economical enough to give you great mileage. You’ll have an amazing experience with this one. The Overland is a model that will give you bigger wheels and many more goodies than you would get in the other models. Your Jeep will sit on top of some whopping 20-inch wheels with painted pockets. You will also get some rare features like the nine-speaker Alpine system, the dual-pane sunroof and more. This model will be great for stargazing or going on long family trips with the people you love. The Trackhawk is the leader of the pack. It’s the model that you buy if you want to get the most powerful motor you can get. This is the model that will offer you a Supercharged 6.2-Liter HEMI V8 that can get you to 0-60 in 3.5 seconds flat. That’s almost the same performance of a muscle car but with a roomy interior that doesn’t cramp your style. This model will give you 707 horsepower, which is much more than most sports cars on the market. You’ll also have the capacity to tow more than 7,200 pounds, so it can be your workhorse if you need it to be. This model also comes with a black chrome quad exhaust and a high-performance audio system that has 19 speakers with it. It’s the granddaddy of all the 12 trim offerings, and it’s for serious fans. More trim options are available from which you may choose, and the list of features and benefits that you can get from them is extensive. You will have to talk to a salesperson so that he can go over the complete list with you and help you to pick the model that suits you best. Call and make an appointment at Pollard Jeep to test-drive one of the options in the trim levels if you’re interested. The dealership serving Longmont Colorado can definitely accommodate you. The salesperson will take you on a personalized journey where you will get the opportunity to explore the various features and performance abilities that the model that interests you has. You can schedule your appointment by a quick phone call or a brief form. Your request will be honored as quickly as possible.